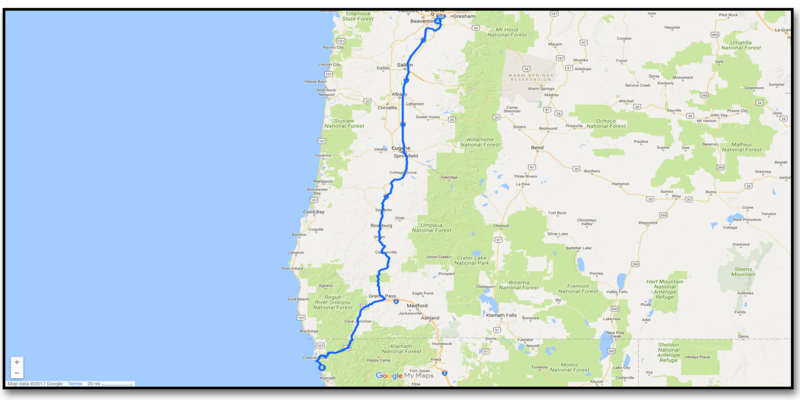 Day Twenty Seven, Portland, Oregon to Del Norte Coast Redwoods State Park, California. Well we have finally hit California! After a long drive we had a chance to camp among the majestic redwood trees at Del Norte Campground. We pulled in at sunset and bounce out early the next morning bound for our new destination – Davis California, as the wildfires and extremely smoky conditions around Redding have forced us to change our plans. Smoky conditions exist in Northern California. Jon contemplates the skeleton of a giant Redwood.